Graeme Macrae Burnet has established a reputation for smart and literary mystery writing with his highly praised novel, His Bloody Project, which was a finalist for the Man Booker Prize and the Los Angeles Times Book Award. He was born and brought up in Kilmarnock and has lived in Prague, Bordeaux, Porto, and London. He now lives in Glasgow, Scotland. 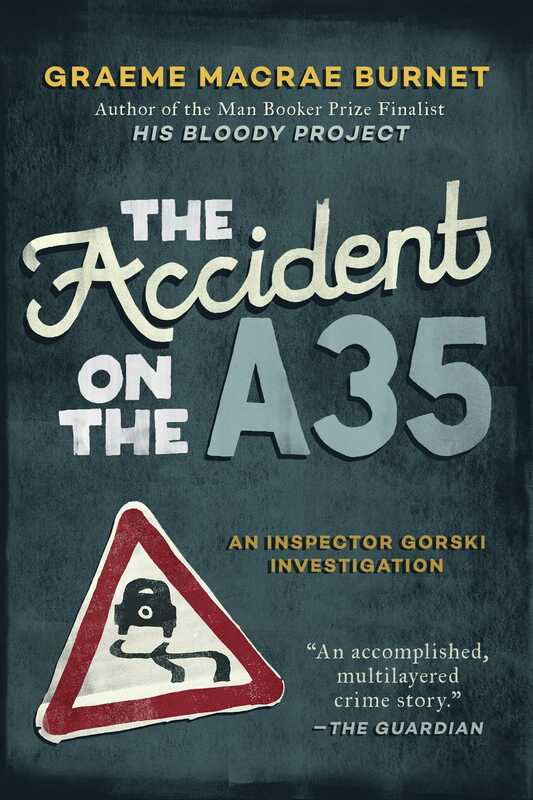 "Highly accomplished, The Accident on the A35 works on several levels... The narration has the simple momentum of classic crime writing.. . .Burnet's cleverness doesn't get in the way of your enjoyment but playfully adds levels of meaning." —Anthony Cummins, Observer. "[A] truly superlative tale... fascinating...one of the most clever and compelling novels to be published this year." —Lesley McDowell, Herald. "As steeped in the works of Simenon as a good boeuf bourgignon is in red wine. The characters' pretensions are mercilessly exposed in frill-free prose... What matters, of course, is whether a novel's characters seem to the reader to be alive. Burnet's do." —Jake Kerridge, Telegraph. "There are so many echoes of French writers in this book.. . . [Raymond] is a fantastic depiction of the typical alienated teenager." —Alex Clark, BBC Radio 4 Open Book. "Simenon fans will feel at home in the claustrophobic and petty-minded atmosphere of the French provinces. "—Times and Sunday Times Crime Club 'Picks of the Month'. "Elegant, craftily written and frequently funny." —Phil Miller, Herald.